Monique has been an RKC instructor since August 2009, recertified in 2011, and approved to be an assistant in any future RKC/HKC certifications with continuing credits in Double Kettlebell training by Geoff Neupert, Master RKC, CSCS, and Hardstyle Ventura 2010. Since 2007, she has been practicing as a certified personal trainer. In 2012, she became certified in Battling Ropes, and FMS. She is also a certified Food Psychology coach. 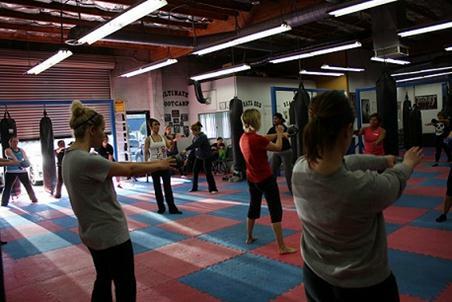 In 2013, she hosted an HKC certification workshop instructed by Senior RKC Franz Snideman at Ultimate Kickboxing and Fitness, the studio she has owned and operated in Redlands, California since 2006. Monique has been an avid aerobic kick boxer for over ten years and currently teaches kettlebells, aerobic kickboxing, sculpt classes, strenghth, and Battling ropes at her kickboxing studio. Monique offers basic training classes for new Kettlebell members where all of the drills and techniques needed for safe Kettlebell use are taught. All new Kettlebell members are required to go through training before participating in the regular classes that cater to all levels--beginners to advanced. For more information about Kettlebell Training, Monique's Gym, or the training options available please visit Ultimatekick.com. 10/10 THANKS FOR THE ENCOURAGEMENT!!!! Truth be known, I was really into my routine at UKB and hesitant to change my classes to encorporate bells. It didnt look like something I HAD to try. THANK GOODNESS Mo kept gently asking/encouraging me to just try kettlebells! I'd do anything for Mo, so I tried it. That was 2 years ago. Im hooked, cant stop wont stop! Mo's commitment to excellence and her motivating approach to getting that out of her people, keeps me coming back for more. I've gained more strength and definition than Ive ever had. I truly appreciate how Mo is willing to share her past experiences with a grip or a move. It makes me feel as if I can get through anything as long as I follow her direction and am patient. Mo cares about people doing things right. She is committed to safety, excellence in form, and supporting her members growth and development. Thank you Mo for creating a place that I'll NEVER leave! 10/10 Pushes you to the Limit! Monique has set a great example for us to follow. Her dedication to the studio and kettlebells has really made the difference! I am a firm believer in lead by example, and she does that. Monique knows the moves well and emphasizes the importance of using your core and doing the excercises correctly. Her attention to detail assists in getting the most of the workout. Love her classes! Monique runs the best gym I could find in my area. Also the only gym that delivers high quality RKC oriented kettlebell classes. I am a willing and grateful victim of the challenging program at Ultimate Kickboxing. 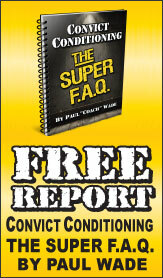 I have made great gains in endurance, strength, and agility; without injury of any kind. Not only that, but the kettlebell workouts impart the sort of strength that one can use all day every day, to live a healthier and pain free day. No more back, knee, or hip problems. Thanks Monique! 10/10 Break through the plateau! I've been back to this gym for 2 years now. I had taken some time off as I had 2 babies back to back. I never thought my body could come back as easily as it has, but thanks to the kettlebell classes & great instruction from Monique, my body has bounced back & I've become a lot stronger. 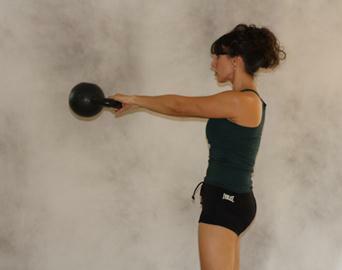 The kettlebell classes give you a full body work out & really target your core. Monique really makes classes worth all the hard work & sweat! She loves a challenge and pushes everyone to another level which makes classes so much more enjoyable! I have trained with Monique since she openened the gym. She is very motivating and fun. She makes sure you get a full body workout. She introduced me to Kettlebells and I love how much stronger I've become because of it. Kettlebells Training has given me endurance, a strong core and definition.